A warm hello from the floppy pup! Greetings! This is Kazu, the floppy-noodle-pup that is the newest addition to my heart. He came from a local rescue only six days ago and he already has made his way into my heart. His foster mom estimated his age to be about six months old and he's already 35lbs and 23 inches tall at his shoulders! I think he'll grow up to be a big boy. He's been a lot of fun to keep up with, he's willful, demanding, and extremely playful. All things I love about huskies really. He is sharp as a tack, and is catching on to my routine more quickly than I ever anticipated he would. We live at home while I finish up college, and he's already made great friends with my mom's Retriever mix, Maxwell. We're making really good (and fast!) progress with my brother's American Pitbull Terrier, Bonnie; thanks to my boyfriend, Alan's, experience with big, stubborn dogs! 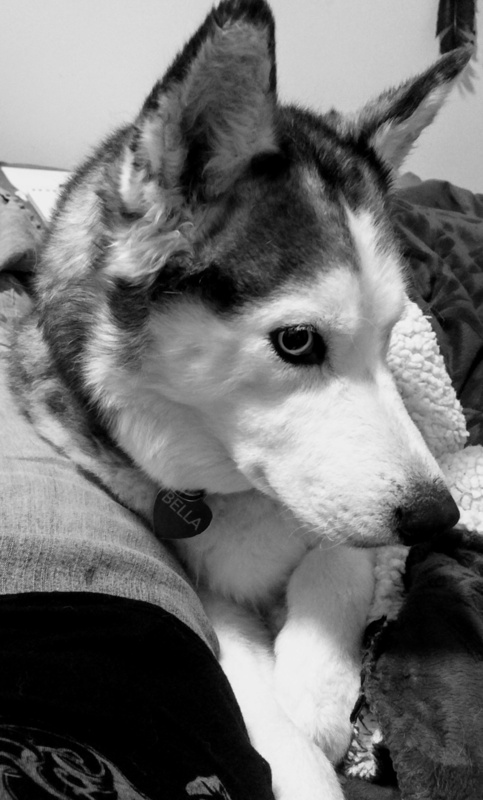 I sought him out after losing my first love of a husky, Bella, to congenital kidney failure at the young age of five years old. 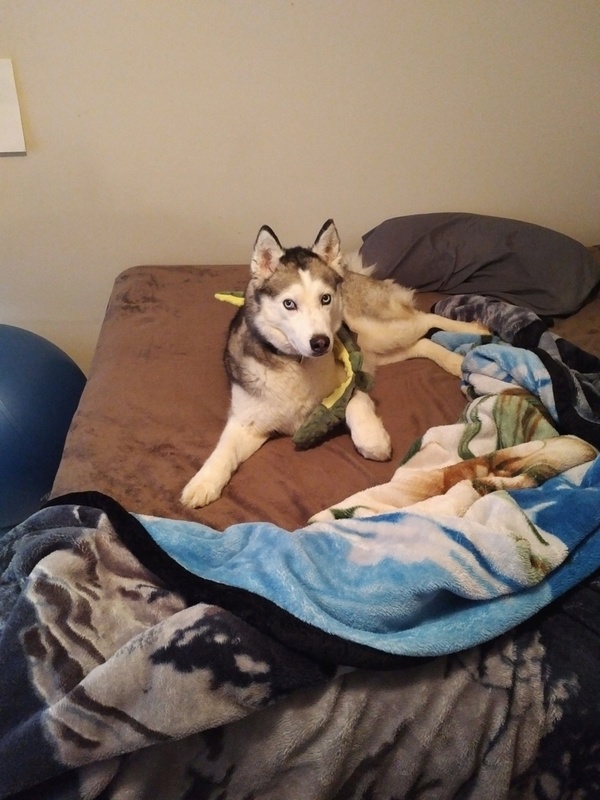 I 'adopted' her from a friend of a friend who had bought two husky puppies, against their parents wishes, and ended up having to get rid of the girl asap and was going to put her in the pound if no one would take her. So of course, my family jumped at the chance to take her in. We were only supposed to hold her until we found someone who was experienced with the breed to be her family, but she quickly took me as her human, (she jumped over baby gates late at night just to hang out with me) and the rest was history. I had never met a pup quite like Bella. She was sweet, sassy, and incredible crafty. I had my work cut out for me, but I loved every minute I had with her. I don't know why she chose me instead of my other family members, (my mom adored her and showed it frequently!) but she helped me out of a dark moment in my life; I owe her everything for that. At first I didn't want another husky out of fear that I would get a completely different individual and expect it to be just like her. 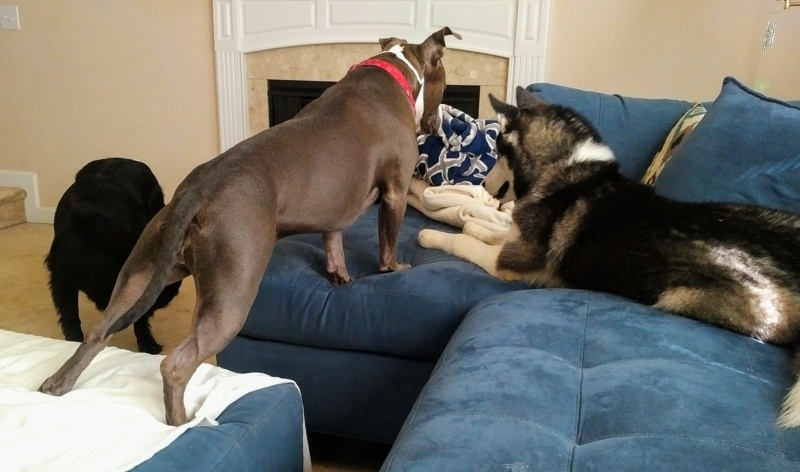 I looked around and applied to adopt different types of dogs from a few rescues. All of them turned out to have two or three people who were in line before me for adoption, so while I didn't get to adopt them, they at least found good homes. 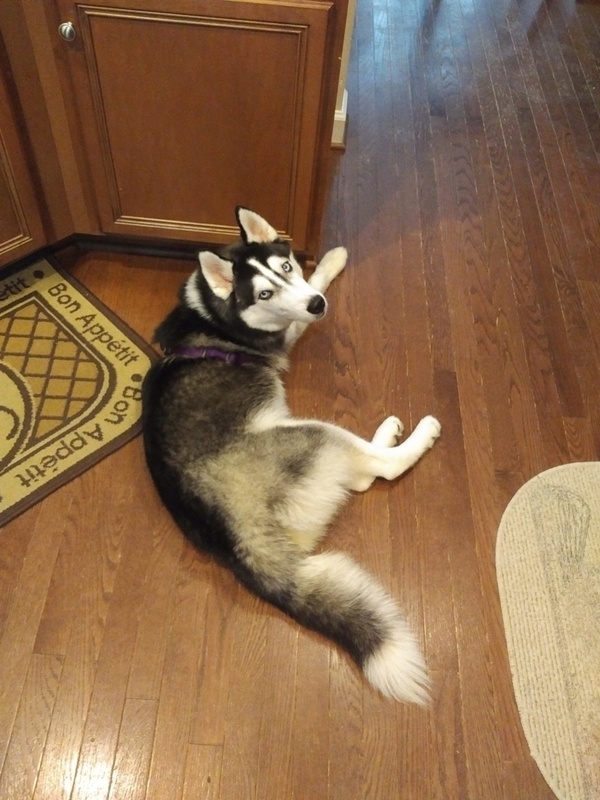 Then I got a feeling to at least take another look at huskies on rescue sites, and there Kazu was. I just got this feeling that I had to try again, and it had to be him. 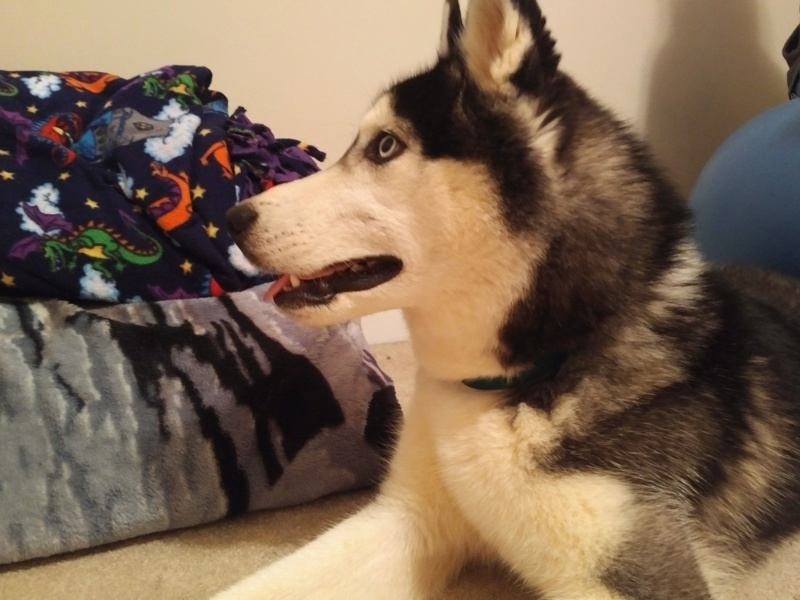 So here I am, with a six month old husky pup, and a whole new set of questions for raising this guy! It's good to meet everyone, and I appreciate any pointers you guys give in the future. Beautiful pup. Thank you for rescuing. Each is different but even if not a ton like your first husky their uniqueness will steal your heart all over again, just in a different way. Congrats on the new dog. Sorry to hear about Bella. hi, welcome to the forums. congratulation on your new fur baby. sorry for your loss of Bella. Subject: Re: A warm hello from the floppy pup! » plastic to warm soil & garlic?